Visit Tuscany Villas on Facebook! 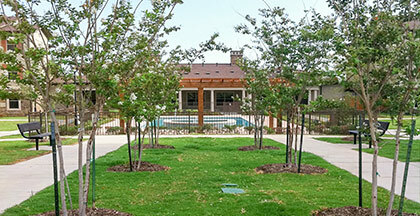 Tuscany Villas at Chase Oaks would like to welcome you home. This exciting new active seniors community is nestled in an established, upscale neighborhood convenient to shopping, recreational amenities and more! Designed for active seniors, Tuscany Villas offers generously sized apartments, breath-taking landscaping, beautifully decorated common areas, planned activities, independence and a professional staff to assist in all of your needs.